We are ardent believers that when it comes to fixed income, investors should buy and hold individual securities rather than mutual funds or index funds. As an advisory firm with separately managed accounts, we can buy individual fixed income securities in segregated client accounts rather than in a pooled vehicle such as a fund. “Fixed income” includes bonds and preferred stock. Companies that issue bonds and preferred stock almost always have multiple securities in circulation. XYZ Corp only has only one stock ticker, but there can be a dozen different fixed income securities issued by XYZ. If you are building a diversified portfolio of several companies as you would with any other investment portfolio—say, XYZ, ABC, and PQR—a savvy investor can make a relative value assessment about which of the bonds or preferred stocks for each entity is the most favorable to own. Fixed income securities have maturity dates and/or call dates. The passage of time shifts the remaining duration of fixed income securities, whereas stocks remain perpetually. This makes fixed income funds fundamentally different because they are constantly shifting over time. Fixed income funds do not have maturities or call dates but the underlying securities inside the funds do. Fixed income funds are forced to churn or “roll” their portfolios constantly to stay in existence by selling old bonds that are approaching maturity and buying new ones. Index funds that hold regular stocks do not have to churn—they can sit perfectly still because there is no final date on stocks. Therefore, there is true passive buy-and-hold stock market index investing, but no such thing with fixed income where securities are constantly inching towards a final date and portfolios must be replenished. Fixed income funds can sustain permanent losses due to churning, while individual fixed income securities held for long enough are likely to rebound eventually. Funds are constantly selling the old to buy the new. If the prices of securities decline due to a rise in interest rates or nervousness about corporate credit quality, bonds funds are locking in that loss by churning the portfolio. Simply holding a fixed income security for the duration allows the investor to get paid back in full without locking in losses. A buy-and-hold approach for individual securities allows investors to recover even if the price fluctuates—except in the event of bankruptcy. Rather than churning portfolios for purely mechanical reasons, we can buy and sell fixed income securities when it is favorable for us—not when we are forced to. Fixed income funds, especially large ones, are forced to traffic in the most liquid securities—rather than the most attractively priced ones—in order to satisfy investor inflows and outflows and accommodate the size of the investment. If XYZ corp has a dozen different bonds, the multi-billion-dollar index companies such as Vanguard and iShares might be including just a few of them in their big index funds. This additional trading flow can distort the prices relative to the other XYZ bonds.We can take advantage by buying the more attractively priced securities of XYZ corp.
Because our clients can be patient holders of individual securities rather than a huge fund that is constantly churning, we can buy securities that perhaps fly under the radar of the big index funds. Large aggregator stock index funds allocate most heavily to the biggest most successful companies whereas large aggregator bond funds allocate to the most indebted. Investing in stock index funds works well over the long haul because you are always weighting the largest ‘winningest’ companies most heavily in the portfolio. But the same concept does not apply to debt. In fact, companies with the largest debt are usually not the most creditworthy. In creating a bond portfolio, the heaviest weights should be given based on creditworthiness and the return offered by a security relative to the risk—not just the biggest issuers of debt. Building an intelligent portfolio of fixed income securities is not rocket science, but it does take a little expertise. 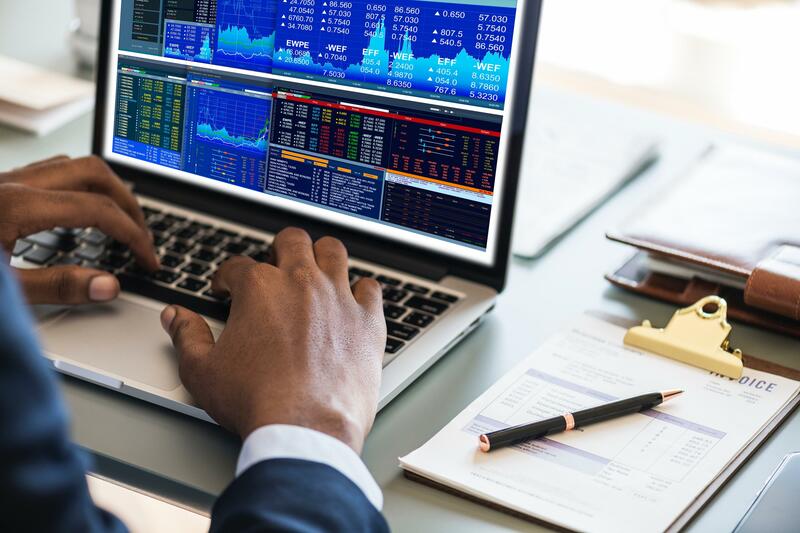 Experience with bond trading, credit analysis, and understanding the different types of securities is valuable—and is often why ordinary investors do not pick their own bonds and preferred stocks and rely upon fund managers and advisors to do it for them. What is the price of security A vs security B? Which security yields more (has higher return)? Which security has more risk (higher duration)? Is XYZ Corp going to go bankrupt any time soon? In an adverse economic environment, would XYZ Corp be severely impacted, causing their credit quality to deteriorate? Have there been recent shifts in the broader markets that would cause investors to buy or sell this security beyond what should have been predicted by a shift in interest rates? What are the investor’s near-term cash needs and ongoing needs for income? Does the investor have the time horizon to wait around if the price of this security fluctuates adversely at the outset? Is the investor in an especially high (or low) tax bracket that would make certain securities more tax advantaged than others?